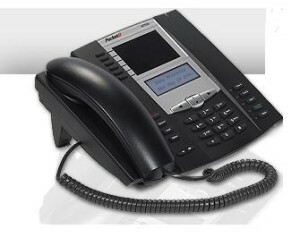 Founders Telecom Blog – Plantronics Headset Superstore » Are you trying to connect a headset to your Packet8 6753i, 6755i or 6757i phone? There’s a lot of confusion both on the part of Packet8 (since they don’t actually manufacture the phones themselves) and on the part of Plantronics regarding the headset port on the Packet8 phone model 6753i, 6755i and 6767i. If you look these models up on the Plantronics compatibility guide they tell you to buy an H-series headset as well as an M22 amplifier. In reality, you do not need the amplifier. Press OPTIONS then PREFERENCES then SET AUDIO then AUDIO MODE then choose HEADSET or choose HEADSET/SPEAKERPHONE if you want to be able to toggle back and forth between your headset and the speakerphone. I'm trying to make my H101N headset work with my Packet8 / Aastra 6755i phone. So far, I have tried both a direct connection to the phone via an A10 Direct Connect Cable, and a connection via a MX10 amplifier. (Both are supported configurations per your web site, per Plantronics site, and per Plantronics support). The headset works perfectly while dialing: no hum or noise, and perfectly clear DTMF tones. However, once the call is connected a loud low-frequency hum is present both on the headset and for the remote party. I have tried relocating the phone and power supply away from anything that could be causing interference, and gone through a number of additional diagnostic steps. As a reseller of this combination, do you know if this is typical? Is a different headset better? My phone doesn't work I don't know where to get it's cable from?